Best Seller! Single letter monogram with an ornate scroll in a coordinating or contrasting color. 100% Linen available in White or Beige. Napkins & placemats gift-boxed with ribbon. 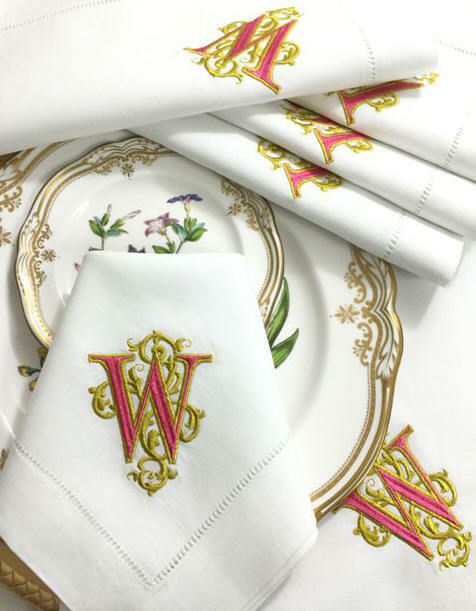 Prices below include the monogram! 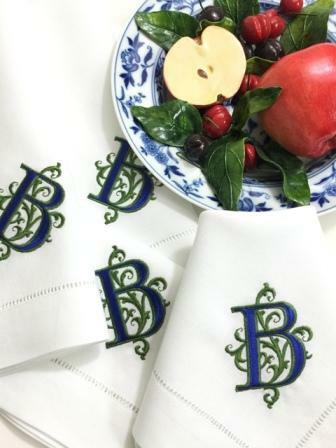 Napkin Monogram - Corner Diagonal Placement Table Runner Monogram- One End. $24 Additional end.